CRC wins the 5th event at this year’s Oilmen’s Curling Bonspiel. 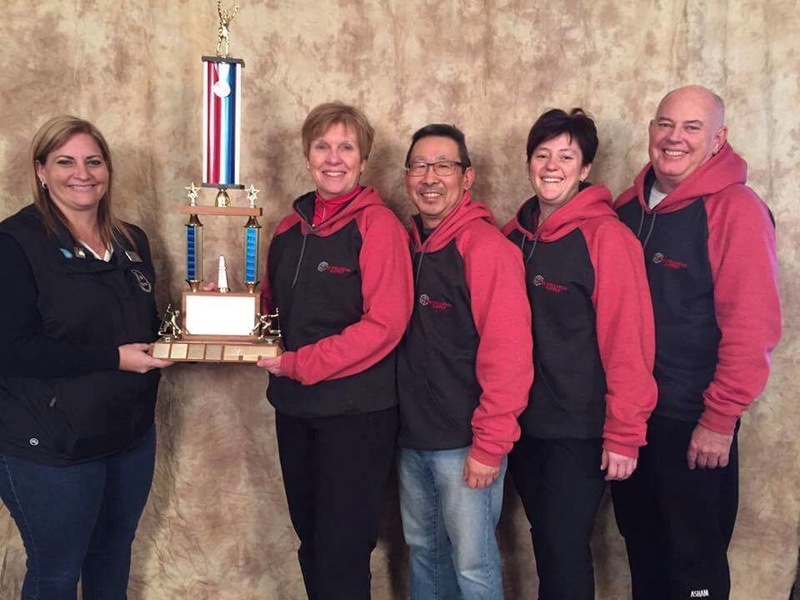 Team members are Carolyn Morris, Frank Lee of Stream-Flo Industries Ltd, Bernadette Nicholson of Wenzel Downhole Tools Ltd and Drew Morris of CRC Wellhead Supply Co Ltd. The presenter is Oilmen’s Bonspiel President Christina Forth. 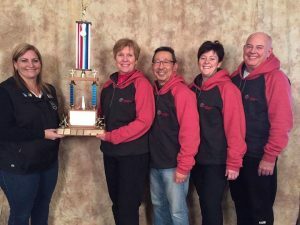 Congratulations to the CRC sponsored team, the Oilmen’s Bonspiel committee, who were celebrating their 65th year of hosting this event and all the participants and sponsors…it was a great event enjoyed by all.